A bespoke staircase renovation has the power to transform your home, breathing new life into enclosed spaces and even adding value to your property. 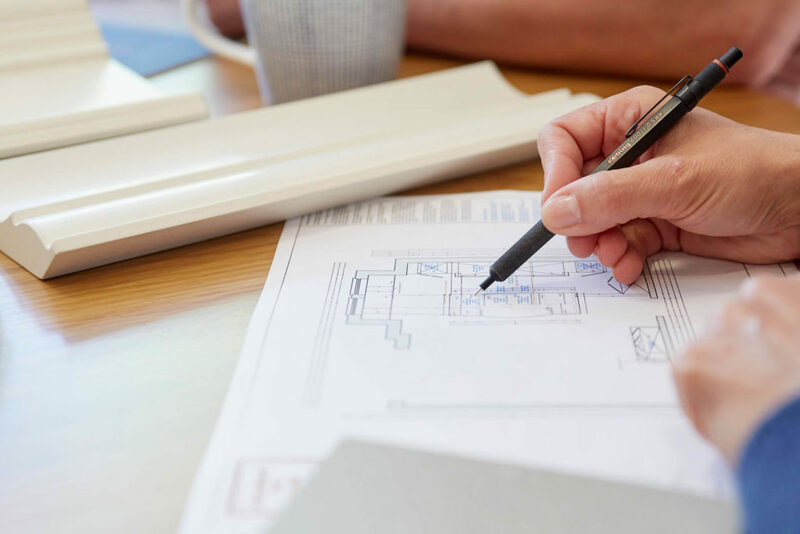 Instead of being a messy process, a staircase renovation can be undertaken in as little as 48 hours, with no building work or planning permission required. 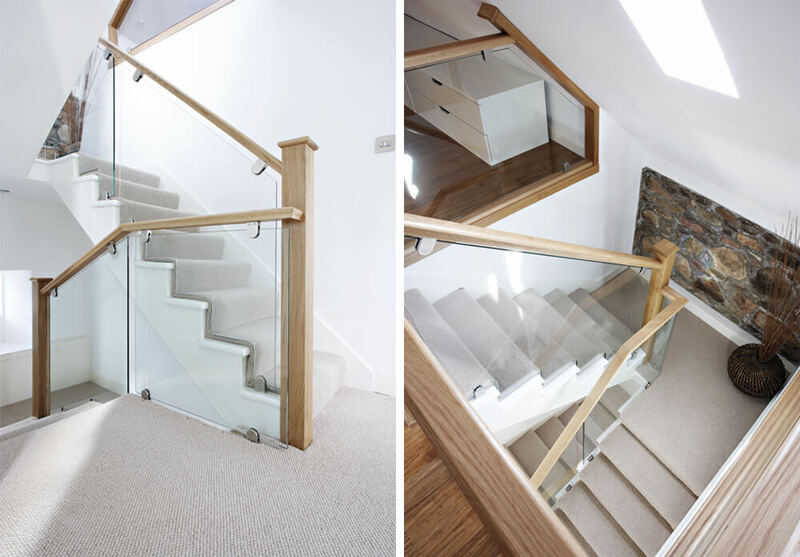 Using the structure of your existing staircase as a base, each part is expertly re-defined by hand from your choice of high-quality materials such as timber, glass and steel. 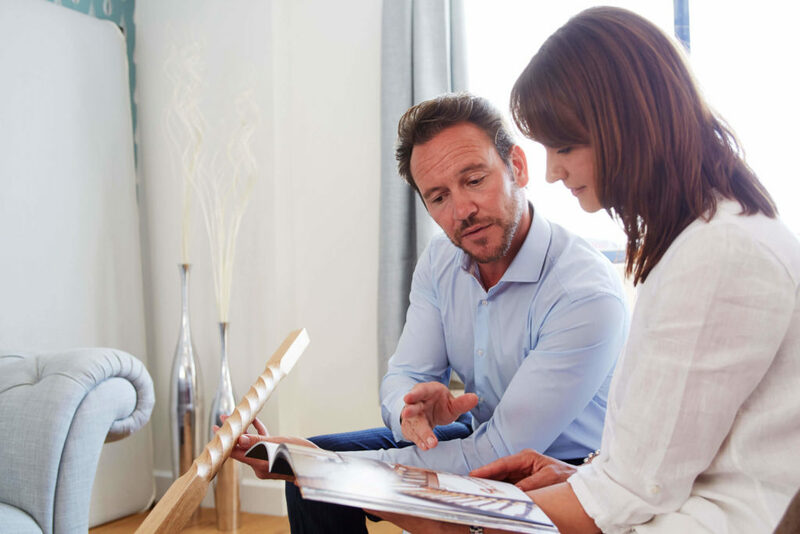 It all begins with a free design visit. This process is all about getting to know what kind of staircase you require and bringing it to life. Your ideas combined with inspiration from our designers could create something beautifully unexpected and unique. Awkward turns, uneven treads and sloping ceilings can easily be accommodated, so if you think your home’s layout is too unusual to benefit from a Neville Johnson staircase renovation we’re sure you’ll be pleasantly surprised. 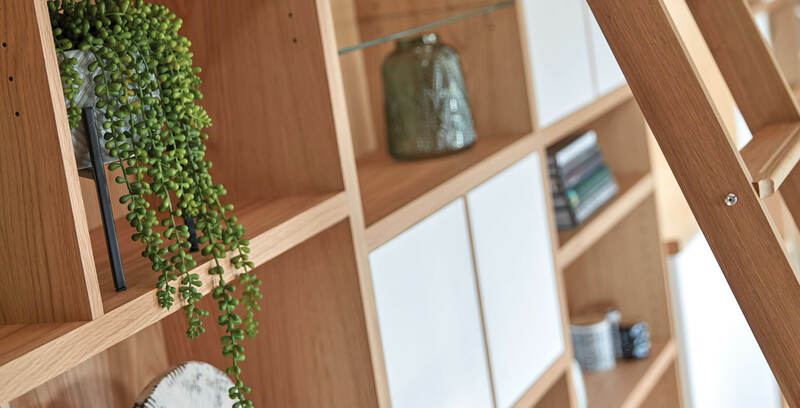 Choose from a wide range of timbers including oak, sapele, maple, beech and walnut and add beautiful finishing touches to create a perfect entrance and an elegant first impression. Glass can give the impression of your staircase gracefully floating. It’s a wonderful choice for both vast and compact spaces as it allows the light to flow through the entire hallway. It’s a contemporary choice that can complement many home styles. 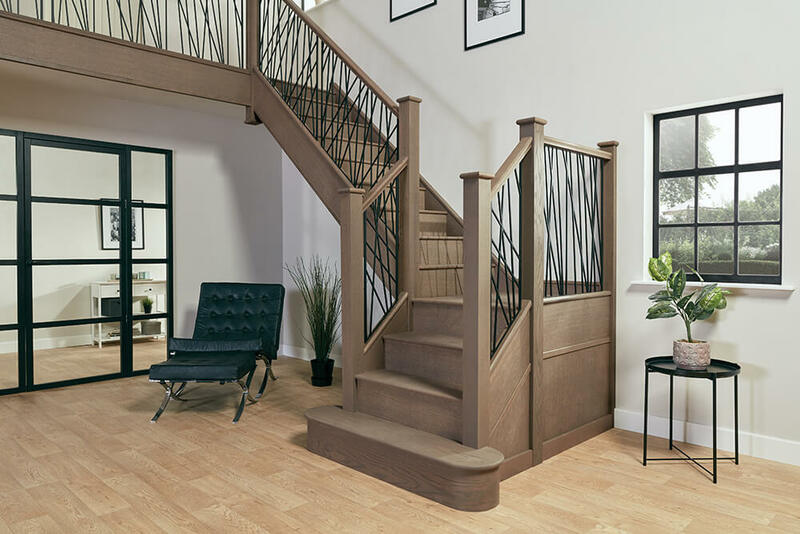 Our steel staircases are available in a number of design styles and finishes that are unique to Neville Johnson. Steel can look dramatic with forged spindles or you could opt for minimalist chic, combining brushed steel with glass. 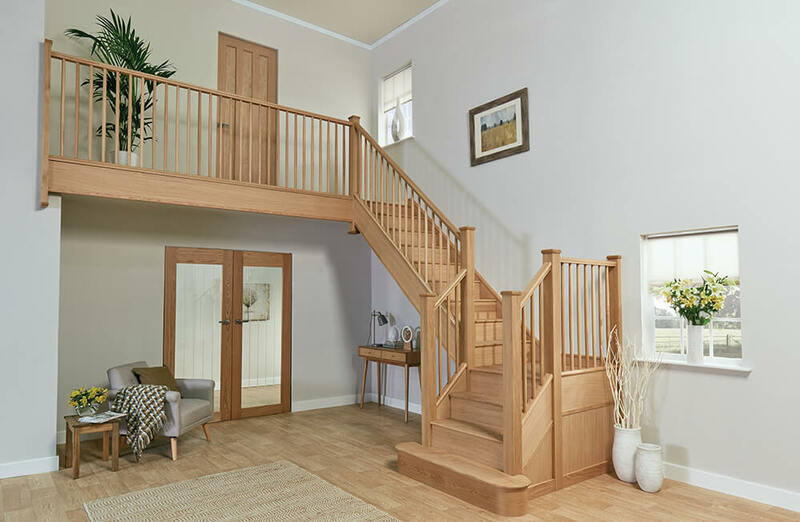 Whatever style you opt for, your re-interpreted staircase is installed by highly skilled fitters who are respectful of your home from the moment they begin until the minute they leave. Staircases have a number of components that you may not think about or even consider. So before you invite anyone to take a look at your staircase, here is a glossary of terms that will help you to identify the elements that can be transformed. Balustrade | This is the railing and baluster that prevents you from falling over the edge. It’s also the collective name for the complete assembly of handrails, including spindles and newel posts. These can be highly decorative; turned, carved, forged or even replaced by wooden or glass panels. They sit between the handrail and stairs and are also known as balusters. Baserail | The baserail sits on your string and has a groove which accepts the spindles. Should you want a cut string staircase there would be no need for a baserail as the spindles enter the treads. Newel cap | This is the ornamental cap that sits on top of the newel post. 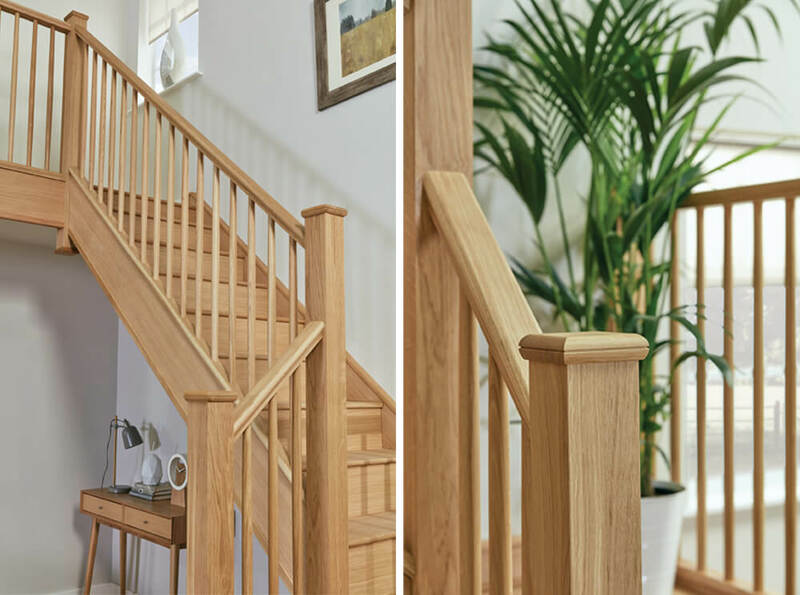 Newel post | The newel post is a structural element that extends below the floor and subfloor and is bolted to the floor joist. 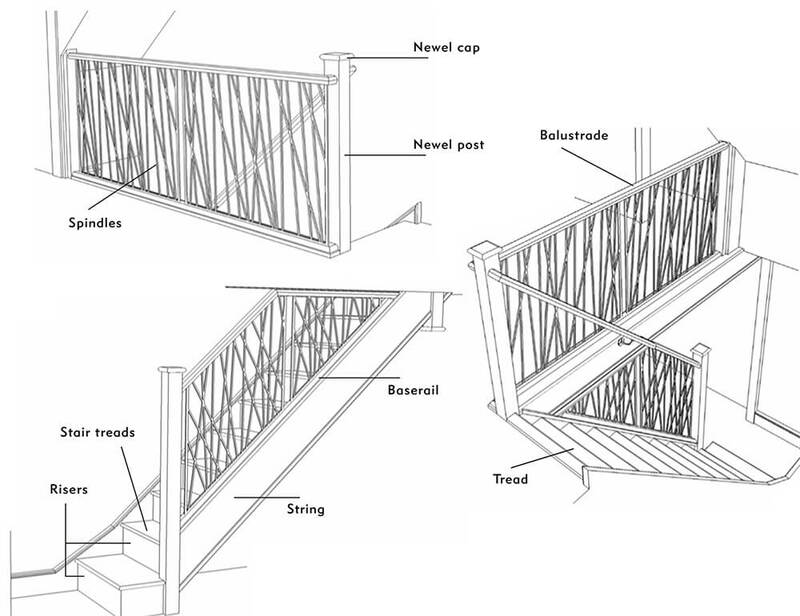 String | The structural member that supports the treads and risers in standard staircases. Risers | The vertical portion between each tread on the stair. In open plan properties, this section can be missing. Bullnose step | Where stairs are open on one or both sides, the first step above the lower floor or landing may be wider than the other steps and rounded. Besides the cosmetic appeal, starting steps allow the balusters to form a wider, more stable base for the end of the handrail. Stair treads | This is the part that is stepped on and is constructed to the same thickness as any other flooring. Stairwell | The void or area where the stairs are positioned. To find out more or to discover how a Neville Johnson staircase renovation can transform your home book your free design visit today.